The BBC has just launched the Domesday Reloaded website, which lets people search the Domesday Project archive, as well as upload photos and information to update it, 25 years after the original scheme was undertaken. The Centre for Computing History, currently based in Haverhill prior to relocating to Cambridge, has played a role the Domesday Project. In a seperate but related project volunteers Tim Porter and Alasdair Kergon at the Centre have been working on capturing and preserving the data from the BBC Domesday System. A complete set of data from the Community Disc and National Disc has been been captured and much of it reverse engineered and presented online. In order not to damage the success of the Domesday Reloaded project the museum has agreed not to make the data publicly available yet, but in due course the Centre will hopefully be releasing a more detailed version with additional features and more data. 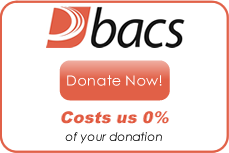 The BBC Domesday Project was a partnership between Acorn Computers Ltd, Philips, Logica and the BBC. It marked the 900th anniversary of the original Domesday Book and was compiled between 1984 and 1986, subsequent to publishing in 1986. It featured a 'survey' of the United Kingdom, in which people (mostly school children) wrote about the geography, history or social issues in their local area or simply about their daily lives. This was linked with maps, colour photos, statistical data, video and 'virtual walks'. It is estimated that over 1 million people participated in the project. As well as data from public input, the project also included professionally-prepared video footage, virtual reality tours of major landmarks and other prepared datasets, such as the 1981 census. Information for the project was sourced from over a million individuals and was submitted on data cassettes and floppy discs by those who could afford the expensive disc drives of that period. It is often cited as an example of 'digital obsolescence' as the physical medium used for data storage (LV-ROM) was very quickly superseded. There are now few LV-ROM players available and in working order; the discs themselves are also starting to suffer. Jason Fitzpatrick continues: "The Centre for Computing History has three working Domesday Systems all of which are complete with discs and other media. Additional laserdisc players, discs, manuals and documentation have been supplied to us by Netherhall School in Cambridge. 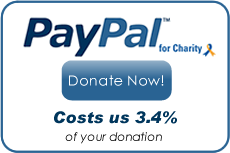 The Centre for Computing History is a registered charity. If you can help with funding, have other suitable memorabilia – or if you have a suitable building for the museum – please get in touch with Jason Fitzpatrick on 01440 709794. 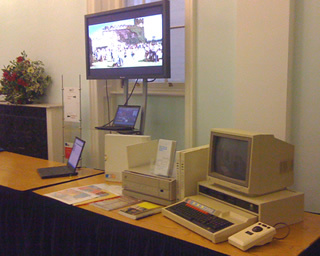 Picture Above : Our BBC Domesday System on display at the BBC Education Launch in 2009.